Your favorite Jolly Hotdog from Jollibee is now available in two variants: Cheesy Classic and NEW Chili Cheese. Time to get a Jolly Hotdog and Chill! Jollibee, the country’s largest fast food chain, has beefed up one of its well-loved product lines, the Jolly Hotdog, with the New Chili Cheese variant, an exciting addition to its Cheesy Classic variant. Always served fresh, the Cheesy Classic Jolly Hotdog offers over-the-top beefy goodness with its beef hotdog in a warm bun, topped with a slightly tangy special dressing and livened up with grated cheese and tomato catsup. Just like the Cheesy Classic variant, the New Chili Cheese Jolly Hotdog is a beef hotdog in a delicious bun, but this time topped with a generous serving of mouth-watering meaty chili and cheese sauce. At the Jolly Hotdog’s core is a beefy, juicy hotdog that makes for a perfect treat you want to savor every bite of. This certified delish snack is packed with over-the-top flavors and textures you’ll never find in plain and boring hotdog sandwiches. According to Francis E. Flores, Jollibee Chief Global Marketing Officer and Jollibee Philippines Head of Marketing, the New Chili Cheese Jolly Hotdog came at the right time when consumers are more attuned to variety and adventure. “The more thrilling Chili Cheese variant is for today’s fast food fans who are always looking to explore new flavors. The new tasty topping definitely adds zest and adventure to Jolly Hotdog,” he said. Launched in 1990, Jolly Hotdog has always been an all-time favorite among barkadas, teens, kids and kids at heart as a way to satisfy their hunger with a delicious and reasonably priced snack, or as a comfort food to relish either for dine-in, takeout, drive-thru or delivery. 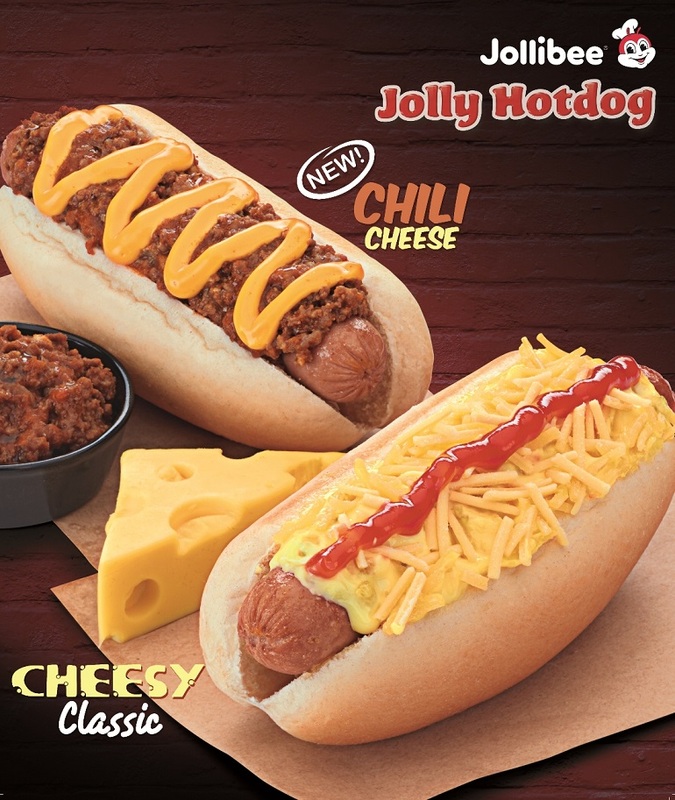 The new Jolly Hotdog in Cheesy Classic and New Chili Cheese variants can be enjoyed either ala carte or in a combo meal with regular fries and drink. Price starts at P50.